I wrote this post and then thought, that, actually I suppose it's more of a wish list, a hint list if you like for the hubby! He's not good at choosing presents or taking hints so I have to normally shove a list in his direction if I am to get anything remotely useful or anything that I actually want. So, first up is this little number. 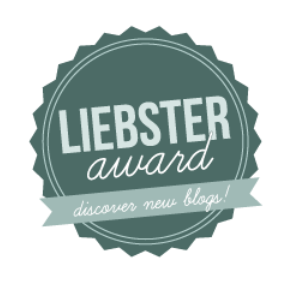 I saw it on Janelle's blog quite a few months ago and adored it. 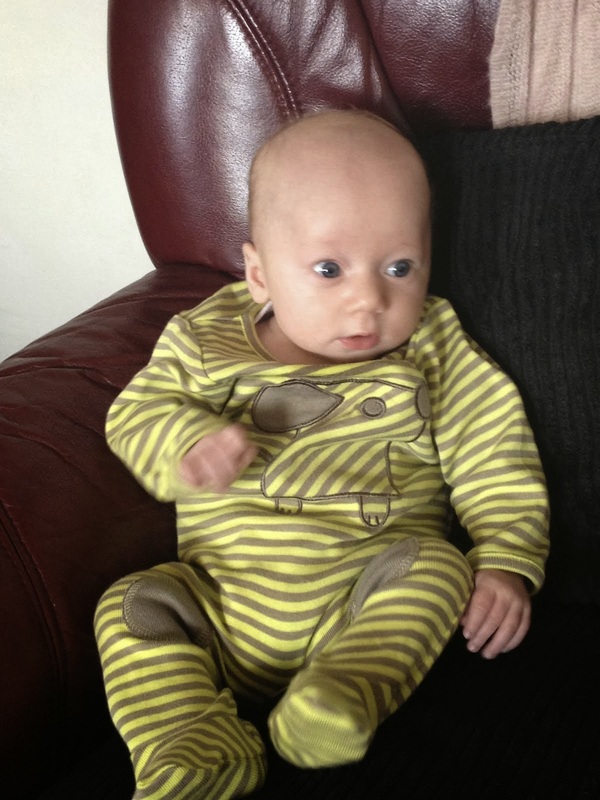 But she lives in the US and there was no way I was paying for delivery to the UK for a jumper. And then I found a stockist in the UK! 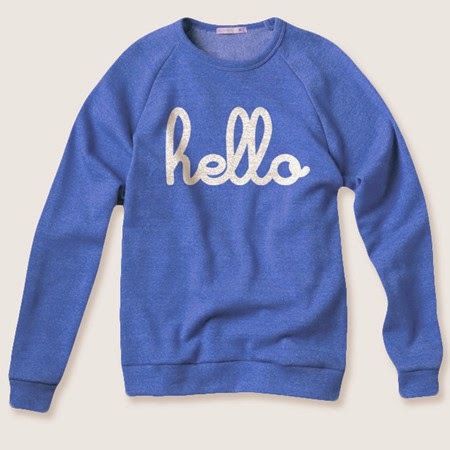 So here is the 'Hello' sweatshirt from Southwood Stores. I toyed with the idea of putting an iPad on my birthday list, but it would have meant that I wouldn't have got much else, considering the price. So I restrained myself. However, I still live in hope that an ipad will magically wing its way to me somehow. I'm definitely an Apple girl. I have an iPhone, and iPod, a Macbook Pro, a Macbook Air and I just need the iPad to complete the collection! 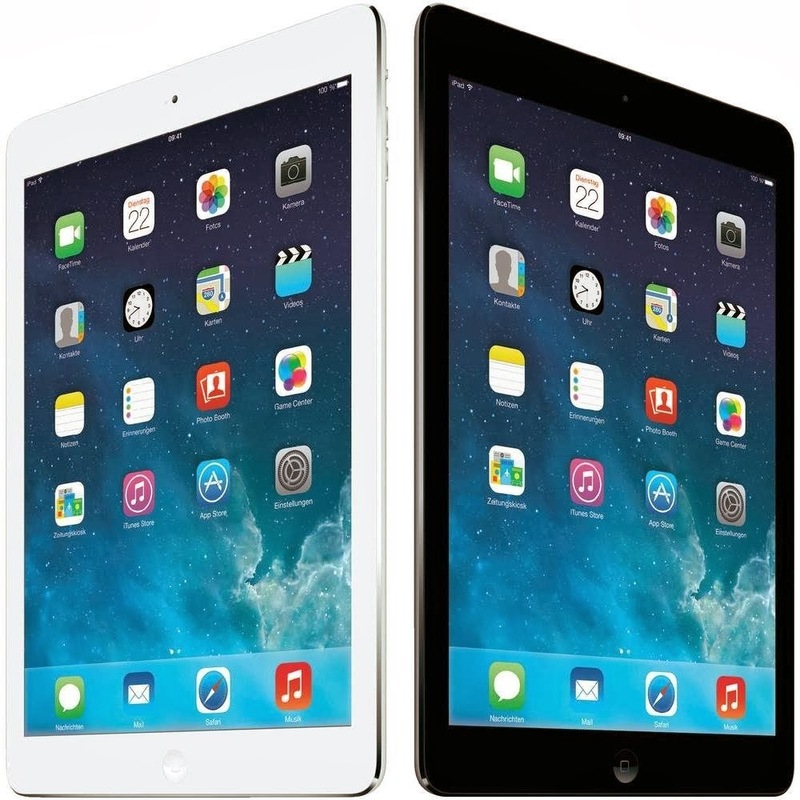 I am actually really confused as to which ipad I would want, there seems to be quote a bit of choice on Amazon. I thought this one looked good, it was one of the dearer ones, so it probably is! I've really been trying to look after my skin, especially since having Charlie, so I am keen to find some new facial skincare products to look after my face. Also, I am now 30, gasp, so I need something that will take care of my skin properly. 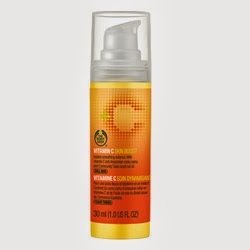 I quite fancy the Vitamin C range from The Body Shop, after seeing them on Kelly's blog the other day. Kelly said that she has used it for a while now and believes it to be very effective, so it's worth a go! I'd like to try the this, the Vitamin C Microdermabrasion scrub. 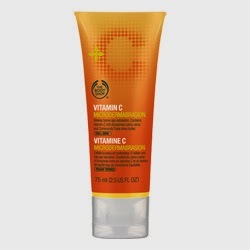 And use with this, The Vitamin C Skin Reviver. 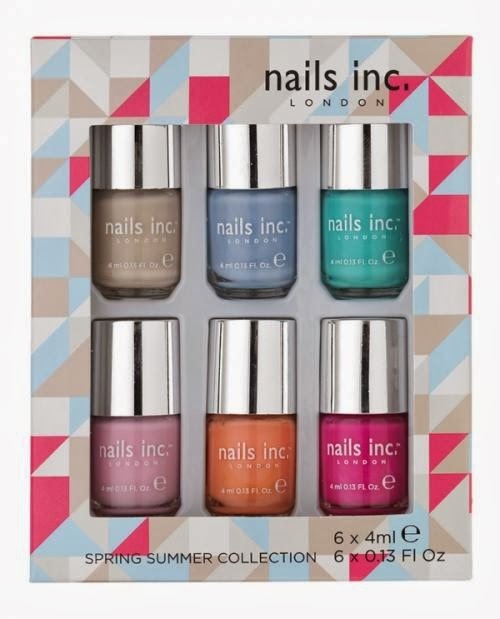 I've been looking for a natural nail colour but always love pinks and the blue colour in this looks lush! So there's my little list. Any other inspiration for Mother's Day out there?